Understood. But that pressure difference is slight and is actually negative so can't possibly explain why the two girls were ejected from the cabin. Yep,as I understand it, RU said that prior to that he was way too high. To lose height quickly he cut the engines to idle. However, he overcompensated and then found himself, in the final seconds, too low, too slow with the engines at idle. Silly question, is pilot training standardized? Reason I asked, I was talking to a Japanese friend and he said he wont fly either Korean airlines. He said he can't trust a Korean airlines. I've heard this from other Japanese too, but I don't feel their argument holds water. The planes are all made by Boeing(made in the US) and as far as I guess, pilot training is standard around the world, right? Funny your friend would say that, personally, I know a lot of people who won't willingly fly JAL and some of those are JASDF pilots. Training for Boeing and Airbus products is fairly standardized this is due to the fact their ____pits have a standardized layout that is the same for all classes of aircraft they make–a 727's ____pit is almost exactly the same as a 777's. Training has also been standardized with a certain number of hours being required in simulators and in the actual aircraft and there are required milestones that must meet FAA standards before a pilot can actually fly one of these aircraft. Would have made better sense to reduce flight speed by 10-15% and extend the airbrakes to further cut speed. There is a fudge factor built into the glide path of 10-20 meters either way. Obviously if you are slightly below the glide path you will have more runway with which to reduce speed and brake on and that means a reduced need for reverse thrust on landing. Thanks for the info Edin日本 . There are still many people here that will only fly JAL, because it's the 'safest' in their minds. Forget about China Airlines. "If you're flying on an American airlines, you should ride up front, closer to the pilot. American pilots are more concerned about living and their own lives, so chances are, they will not run the plane nose first into the ground." "If you are flying on a Japanese airlines, you should ride in the back, away from the pilot. Japanese pilots would rather die, before the shame of killing their customers, so chances are, they will run the plane nose first into the ground." I'm guessing these are the same people that buy into the intestine theory too. And that pressure would have been coming into the cabin at the time and not blowing things out. Only thing I can assume is that they were not in their seats or not buckled in. If, as I assume, the pilot redlined the engines and raised the nose to 30&#186; there would have been 2 G's of acceleration and anyone not buckled in or sitting down would have been flung to the rear of the aircraft. 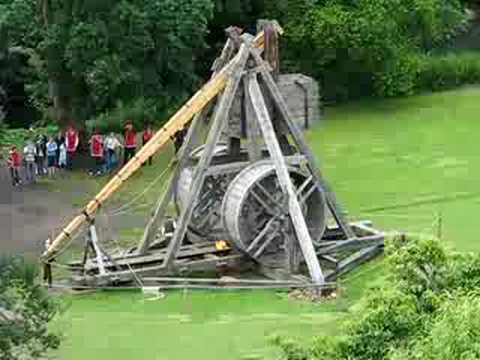 As soon as the tail section hit the seawall the aircraft was in essence a giant trebuchet and they were flung out and forward. I was talking to a Japanese friend and he said he wont fly either Korean airlines. Yeah, I hear that sort of BS all the time. I would respect the argument more if they would just admit their bigotry, which is a big part of the reason Samsung does relatively badly in Japan. I refuse to fly or buy anything Korean because I am boycotting them, and I don't like or admire anything they do, except their remarkable talent for prodigious whining. At least I have logic on my side. I want the delete function back. Isn't kimchi spoiled to begin with? And how would they have known it was YOU that had actually bought the kimchi? You do know, we all look alike. Yes to all of that, and hence my wholly justified bigotry towards everything Korean that hasn't been Japanified (like Yakiniku), and that extends to those vapid ____ Korean chicks in the shorty short miniskirts in downtown Vancouver. One night with Kara would rock your world and change your feelings.....maybe? That sounds very like the Chinese shopkeepers in Thailand and Singapore. They would actually sneer at you for being so stupid as to even broach the subject with them. Caveat emptor all the way and all sales are final. Sounds like the same sort of scam. Funny thing is, Chinese shopkeepers in Vancouver are usually rather nice, and not nearly as scammy as any of the Korean shops I know. But only the latter sell White People Kimchi. It's like the Japanese stuff. Last edited by kurogane; 2013-07-09, 02:46 PM.